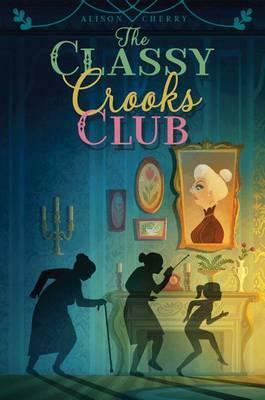 Twelve-year-old AJ is dreading spending the summer with her uber-strict grandmother--that is, until she's recruited to join Grandma Jo's heist club--in this hilarious and quirky twist on a summer vacation story. AJ does not, under any circumstances, want to spend an entire month living with her strict Grandma Jo. Not only does her grandmother tell her how to walk, what to eat, and which rooms she can enter, she fills all of AJ's free time with boring sewing lessons! Grandma Jo wants nothing more than to transform her adventurous, fun-loving granddaughter into a prim and proper lady...and AJ hates it. But AJ's dull summer takes an exciting turn when she discovers that her grandmother's "bridge group" is actually a club of crooks! And when Grandma Jo offers to teach AJ lock picking instead of embroidery in exchange for help with a few capers, AJ is thrilled to join her grandmother's madcap band of thieves who claim to steal only for ethical reasons. But even the most respectable ladies can hide some truly surprising secrets, and AJ must decide for herself what it truly means to be one of the good guys.